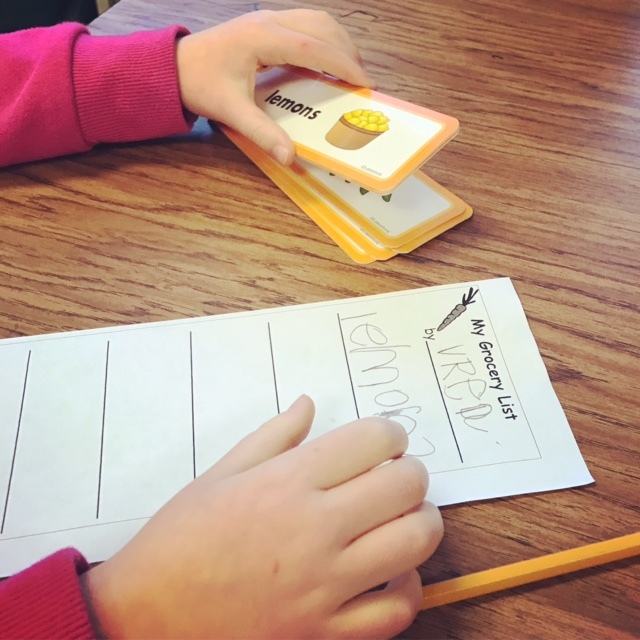 My kindergartners are in love with writing lists! I downloaded the FREE list forms on Teachers Pay Teachers, made by Nellie Edge, and organized them in a little tote. My kids love making grocery lists, wish lists, and lists of their friends in the class. I have a handful of resources around the room, like a pocket chart with pictures and names of each child, and rings with grocery words on them. 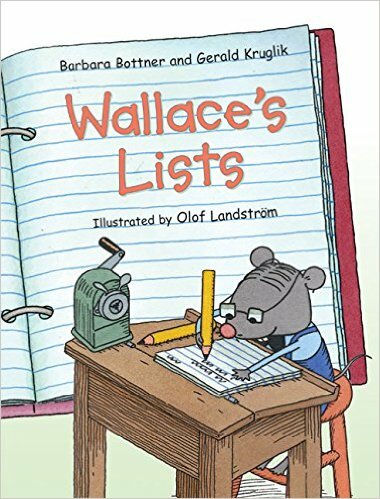 Wallace’s Lists is a great book to read to our young list writers! 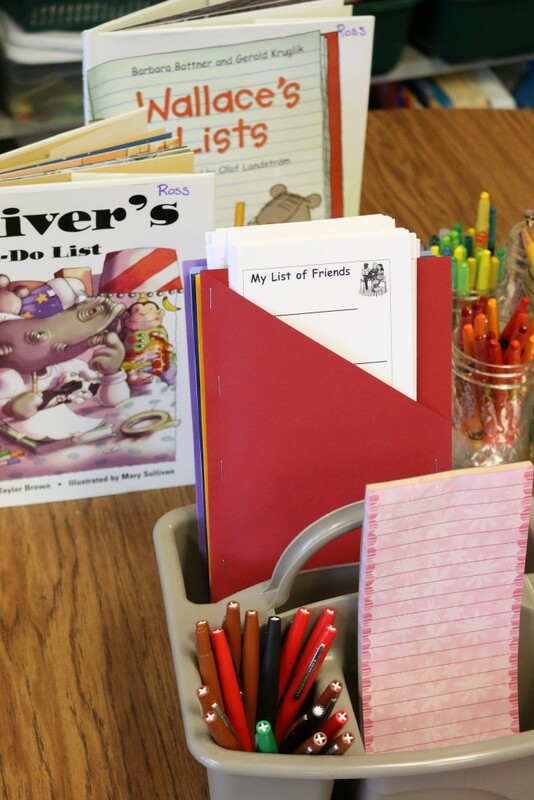 Setting up a list caddy to keep at the kitchen table is a GREAT way to let your kids do some writing each day. Take a look at the picture of the caddy on the Teacher’s Pay Teachers link. It’s quick and easy to put together and really encourages young writers!